Are Spielgaben Educational Toys Worth the Price? 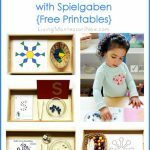 Check out my original Spielgaben review (with examples of Montessori-inspired activities as shown in the collage above) to find out more about Spielgaben educational toys. Even though I received my Spielgaben set as review materials, I’ve been working with the materials each month as I prepare my activity posts. I’ve had plenty of opportunities to test the value of the materials. If I had young children, were homeschooling, or had a preschool, I would definitely think of Spielgaben educational toys as an investment. I also think they’re a great investment for grandparents and caregivers who want toys that can last for years and work well in any home or educational environment. 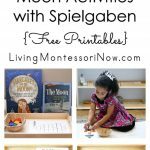 Note: I consider Spielgaben worth the regular price, but Spielgaben is giving a very special deal to my readers that is even better: All you need to do to claim your discount is send an email to [email protected] mentioning Living Montessori Now and you will be provided with a discount coupon! 1. Spielgaben toys are well made from high-quality natural materials. 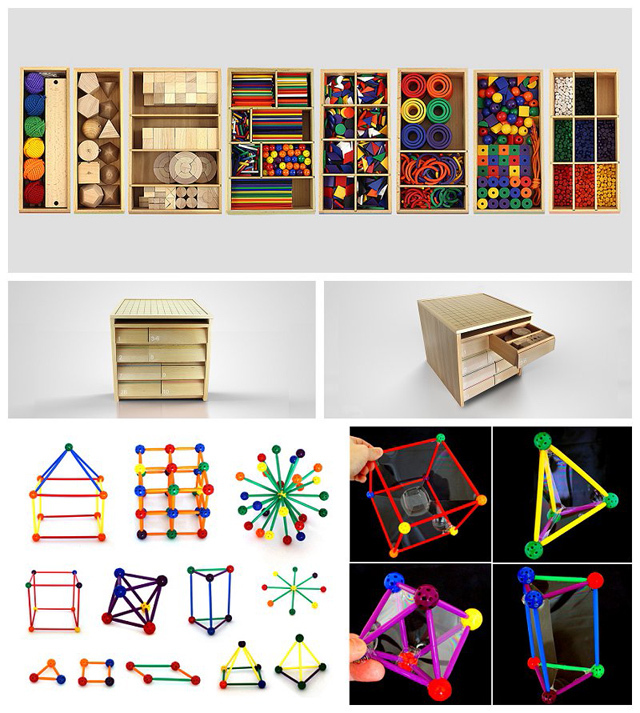 As I said in my original review post, Spielgaben toys remind me of the amazing Neinhuis Montessori materials in their quality and precision. 2. 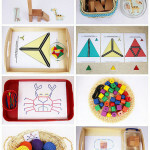 Spielgaben toys fit well with Montessori principles. I love that Spielgaben materials often have isolation of quality where only one attribute (such as color) changes but the shape and size remains the same. This makes it much easier for children to learn concepts such as colors. 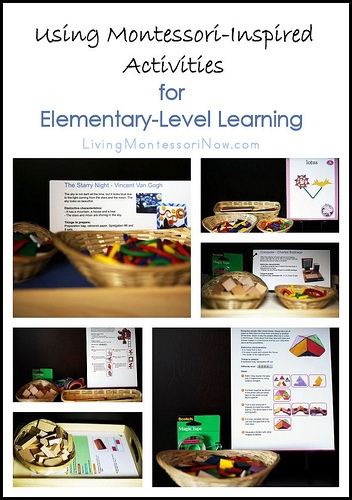 The toys are also easily used to create Montessori-inspired trays for shelves and themed activities for Montessori-inspired unit studies. 3. 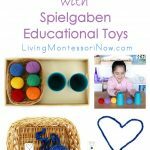 Spielgaben toys can be used for structured learning or open-ended exploration. The digital learning resources that come with each Spielgaben set give numerous ideas for structured learning. They can also inspire ideas for open-ended play. 4. Spielgaben toys can be used from birth through age 12. I’ve shown activities for ages 3-12 (the age recommended for most of the Spielgaben toys) in my previous Spielgaben posts. Today, I’m sharing ideas for babies as well. 5. The Spielgaben complete set comes with over 700 pages of full-color printed learning materials. 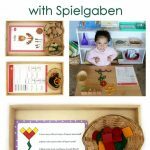 These printed materials help you as a parent or teacher easily use Spielgaben toys educationally with your child and/or students. 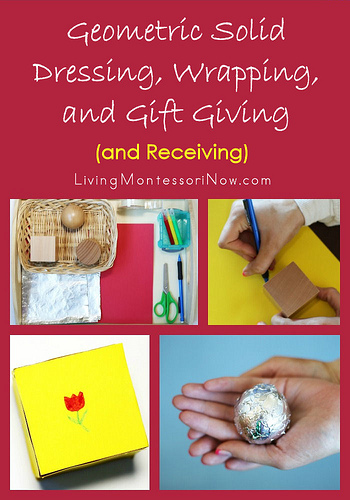 There are even directions for the words you can use when presenting an activity to your child. 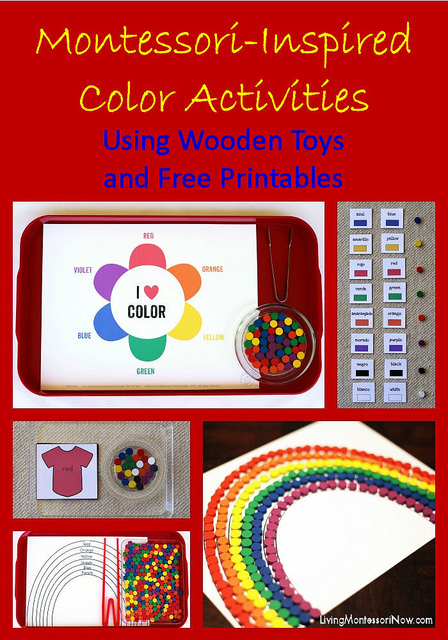 When free printables found online are added, almost unlimited activities can be created easily for Spielgaben learning toys. 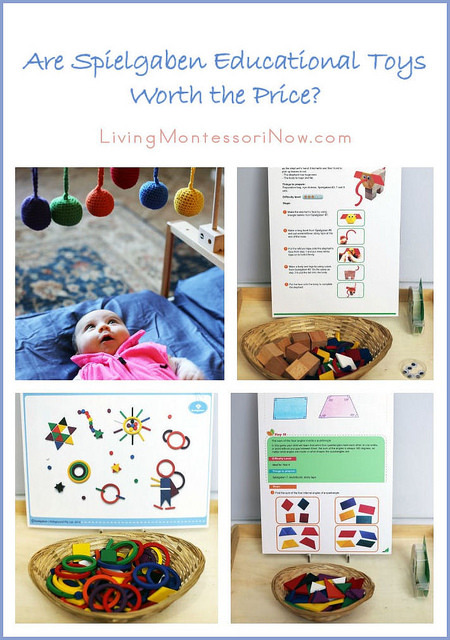 Montessori mobiles for babies are wonderful, but they’re expensive to purchase for home use. You can make DIY versions of Montessori mobiles, but you still have to deal with the time and storage needed for those. As a grandparent of a baby girl born last November, I wanted a natural mobile that was very simple to prepare and that I could store easily at my home for grandchildren now and in the future. I purchased a Niermann Standby Universal Mobile Holder, To Hang or Clamp. It was hard to find a holder that wasn’t plastic, and I liked that this fit well and matched the birch mirror I have by my granddaughter’s floor bed. I can’t think of an easier mobile to prepare than hanging the Spielgaben yarn balls on the mobile holder. I started with the 3 primary colors of yarn balls and added secondary colors later on. The Spielgaben yarn balls are great for a baby mobile. I love that only the color varies, which makes the yarn balls perfect for introducing colors (using the Montessori principle of isolation of quality). They also give a concrete introduction to scientific principles. It’s a natural response for anyone near my granddaughter’s mobile to move the yarn balls so they swing back and forth. My scientifically minded son-in-law says my granddaughter is learning about gravity, centrifugal force, centripetal force, and laws of oscillation. My granddaughter loves the mobile and has gone from watching the yarn balls intently to hitting a ball when one is dangled in front of her to catching a ball and holding it when one is dangled in front of her to trying to reach the balls on her mobile. I love the Montessori Object Permanence Box. When my granddaughter is ready, I want to have similar activities for her. I’ll probably use the yarn balls to create activities for dropping the balls into containers. 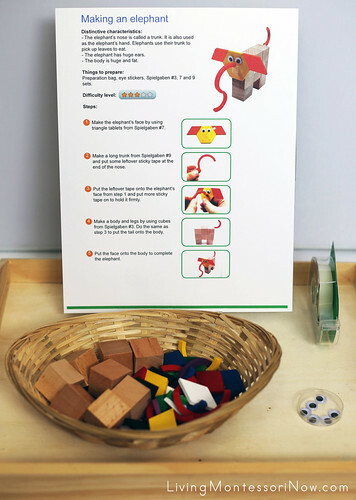 I’ll probably also create a DIY Montessori object permanence box using yarn balls. 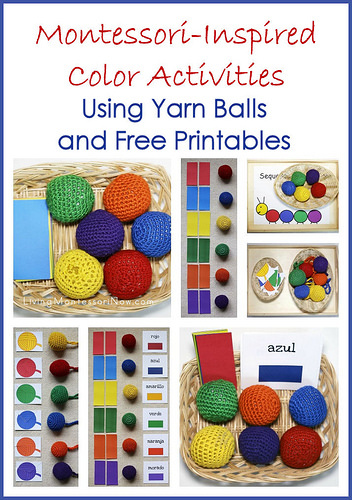 Of course, later on, I’ll use the yarn balls for lots of Montessori-inspired color activities, design activities, and more. 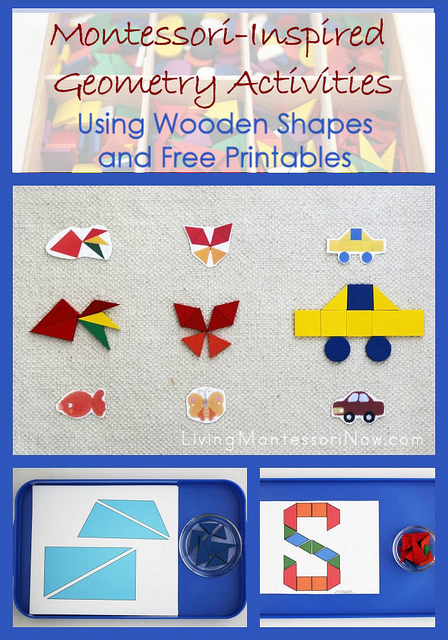 There are numerous ideas of building activities for multiple ages in the digital materials that come with the Spielgaben set. 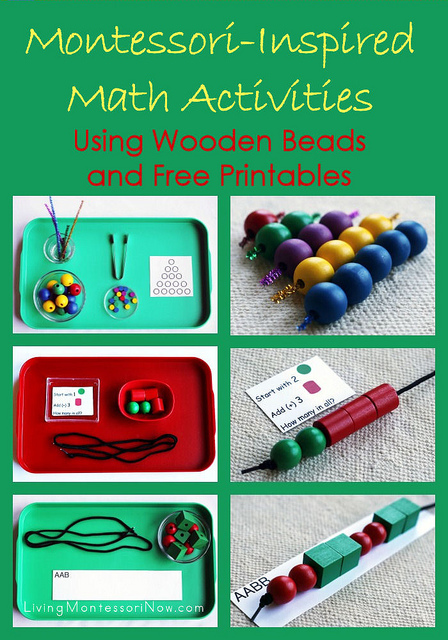 These are both fun and fabulous for helping develop spatial awareness. In this photo, I used the “Making an Elephant” printable from the Spielgaben Playguide Part 2. I added a number of extra pieces to a basket so that a child could create freely after building the elephant. 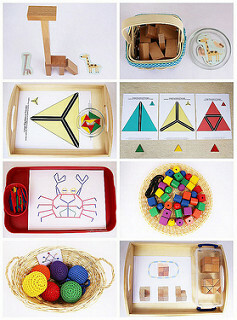 I like to use Montessori Services baskets to put out a limited number of materials at a time. For younger children, you could put out the exact number of pieces as a control of error (self–check). 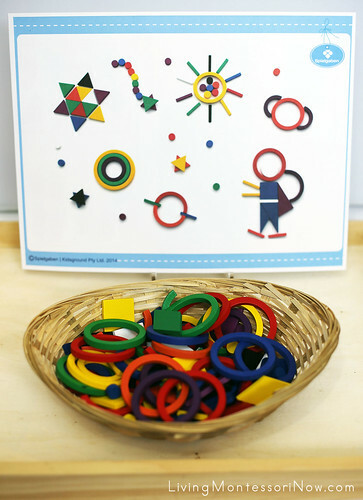 For many children, you could add extra pieces for open-ended exploration as well. In this photo, I used one of the Spielgaben inspiration cards. 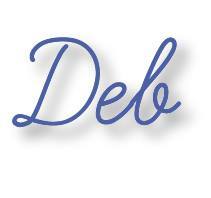 There are many ideas in the downloadable resources that work well with a variety of themes. 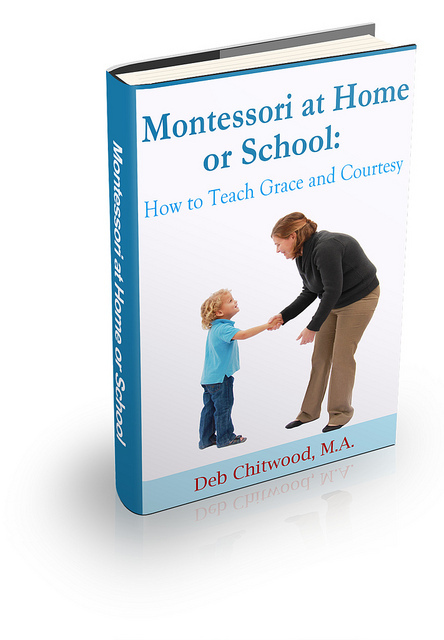 I like to create Montessori-inspired unit studies. This would be a fun addition to a Montessori-inspired astronomy unit. 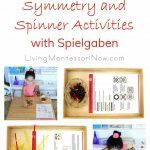 I’m amazed at all the math and geometry activities that can be reinforced through hands-on learning with Spielgaben toys. 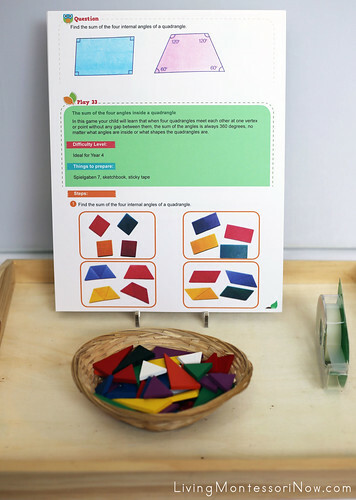 For example, the pictured activity from Playguide Part 4 uses Spielgaben materials to find the sum of the four internal angles of a quadrangle. I Thank Spielgaben Educational Toys are worth the price, Its a good way to help kids learn! I’ve been seeing a lot of posts about Spielgaben, so I love that you approached this from a ‘is this worth it’ standpoint. Always a pleasure to have you at The Thoughtful Spot! I was wondering how inclusive these were? Is this something I could get stand alone or would you recommend getting a Montessori bead cabinet as well?